Am I allowed to squeeze in one more soup recipe? It’s looking more and more like spring time every day!!! I’m trying not to get too giddy. It’s that teaser time of year when the flowers start peeking and you get a couple of glorious 70 degree days…. …but the weather could turn on you any second and you just never know when it’s gonna snow. Think of this soup as insurance. When that freak March snowstorm hits, you will be prepared with some coziness. Love this soup. It fits my quick and easy criteria. I did throw in some ingredients that don’t really fit my “cheap and probably already in your pantry” criteria but LUCKILY! they’re unnecessary. Delicious, though. Highly recommend. I know what you’re thinking. 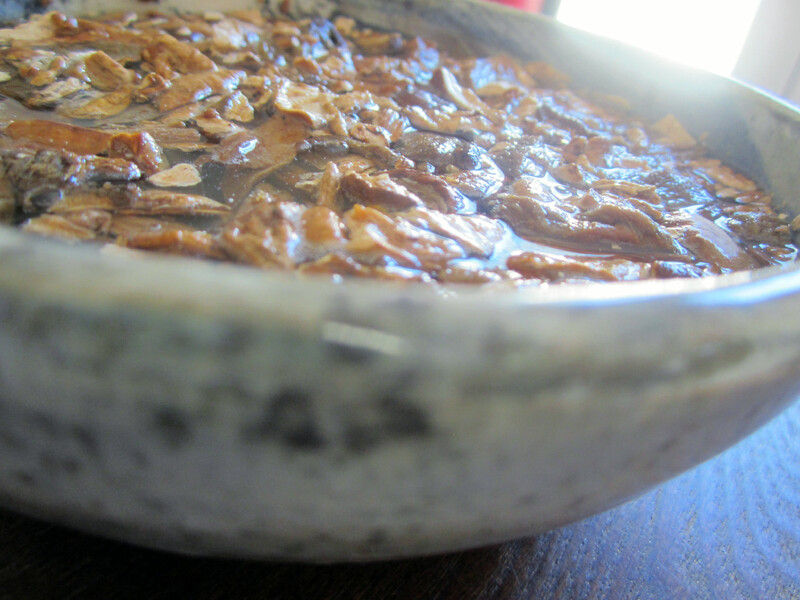 The title “cream of mushroom soup” conjures images of jiggly greyish goop…. I have not made jiggly goop for you. No glop that holds the shape of a can here! It’s warm comforting soup that feels a little lighter….because spring is coming! I’ll stay calm, it’s still cold. Here’s some warmth for your belly while we wait. Those guys become nutty delicious cream. ((Afraid of cashew cream? Can’t afford it? Flat out don’t wanna? 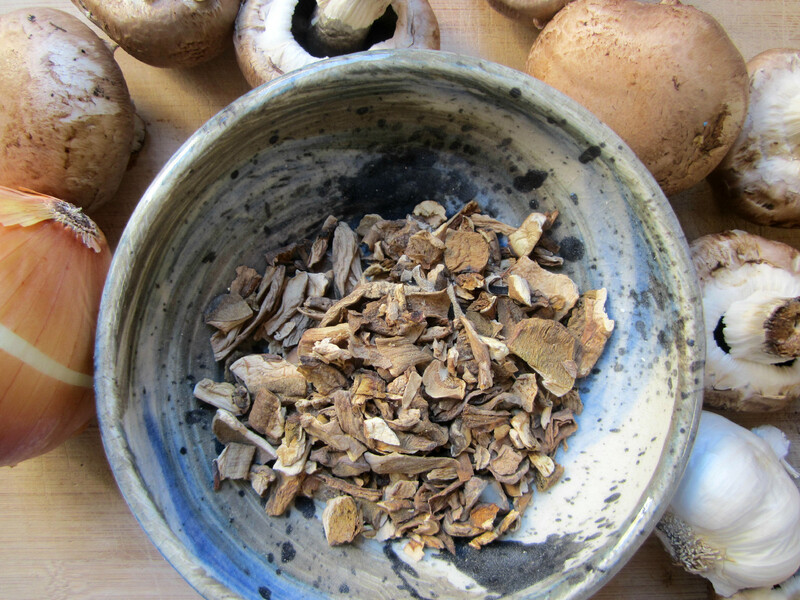 Dried porcini mushrooms. 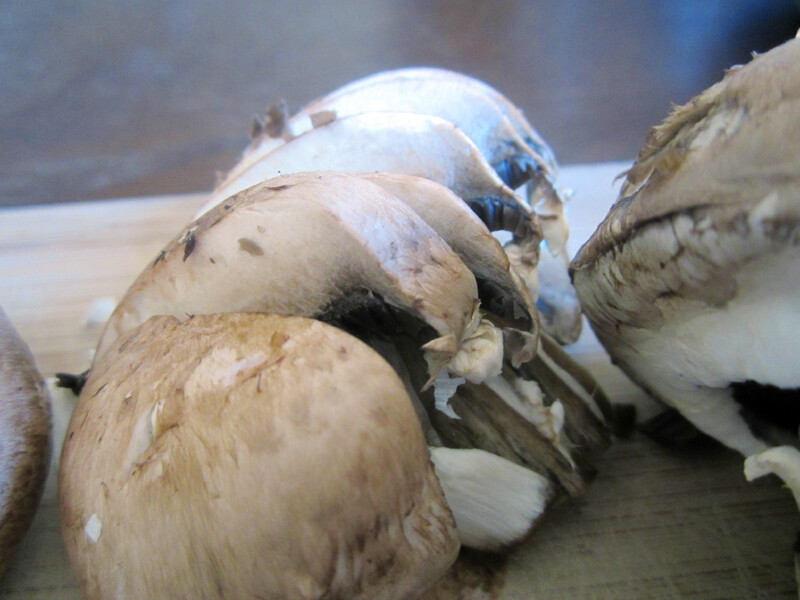 These guys will make sure the soup smacks you upside the head with mushroom flavor. It’s a deep, earthy, means business kind of thing that you just don’t get with regular mushroom. Ok now that the divas are taken care of…it’s time to get chopping. 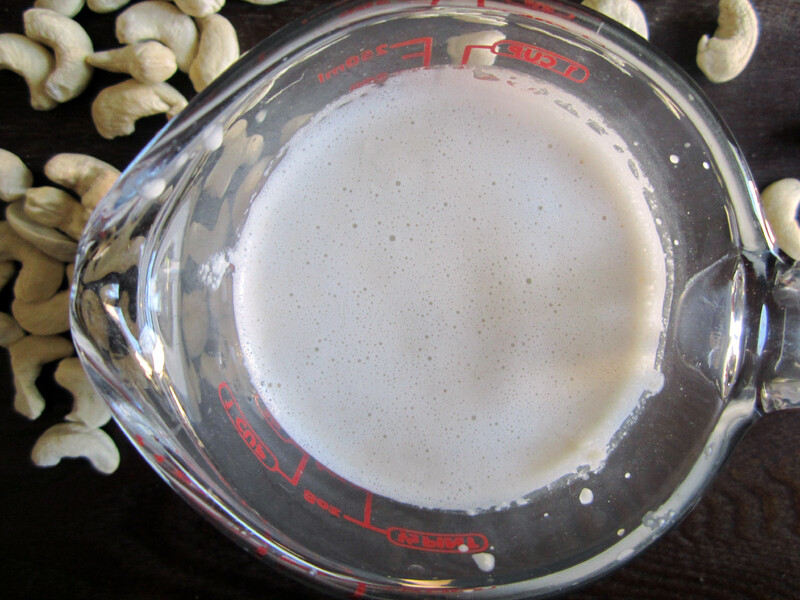 While it simmers…you can deal with the cashew cream. 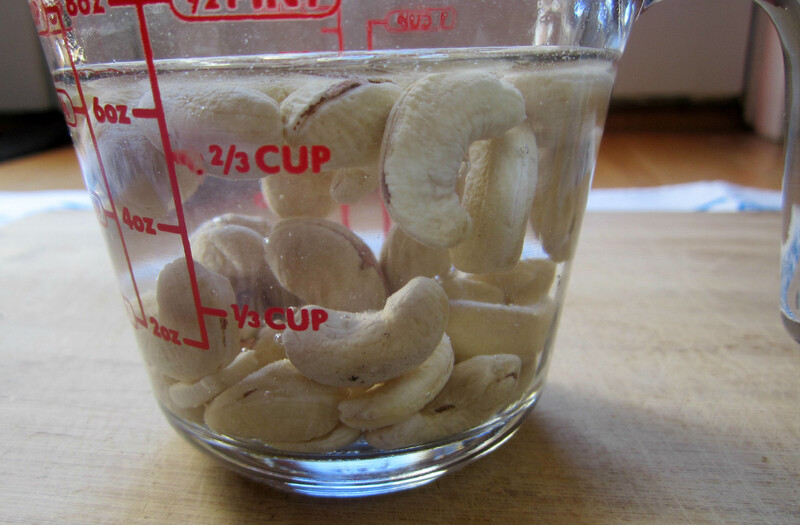 Just dump the cashews and water in a blender and blend until it’s smooth. 3. In a large pot, heat olive oil over medium heat. 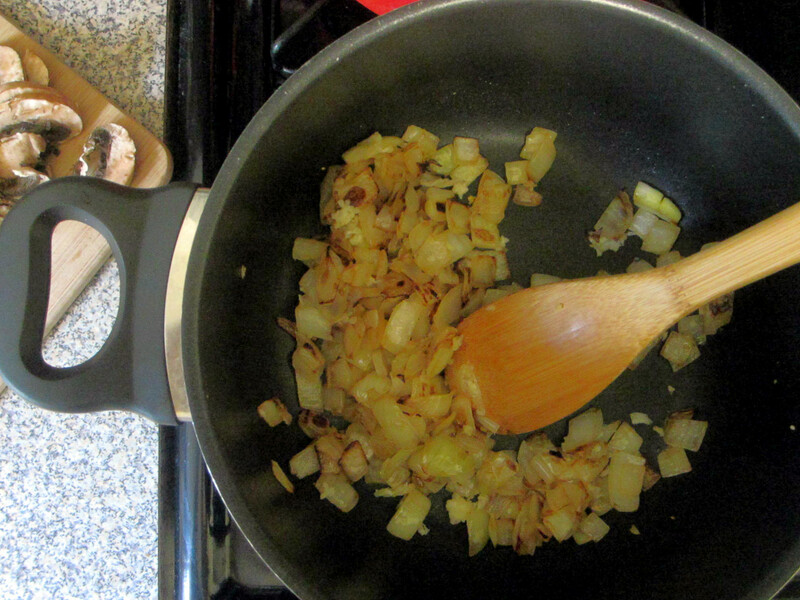 Add the diced onions and cook until softened and beginning to brown. 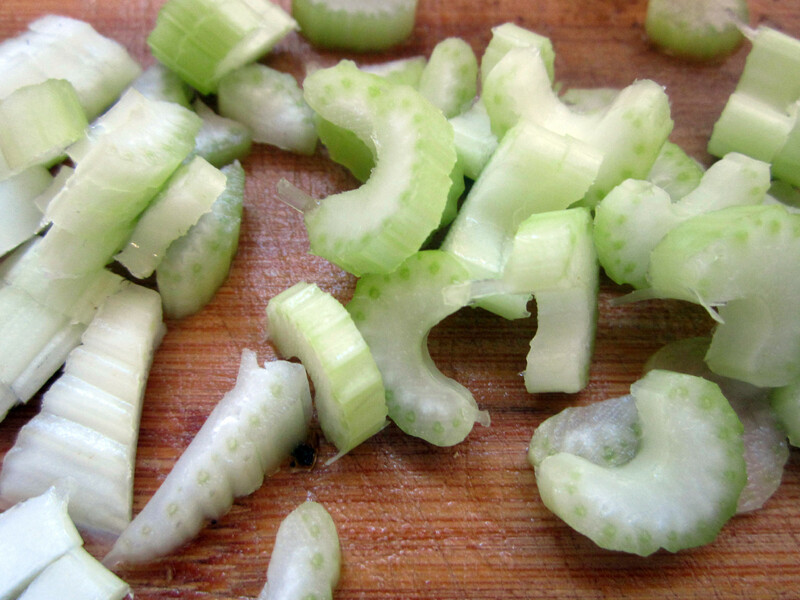 Add the celery and minced garlic and cook for 1 minute. 4. 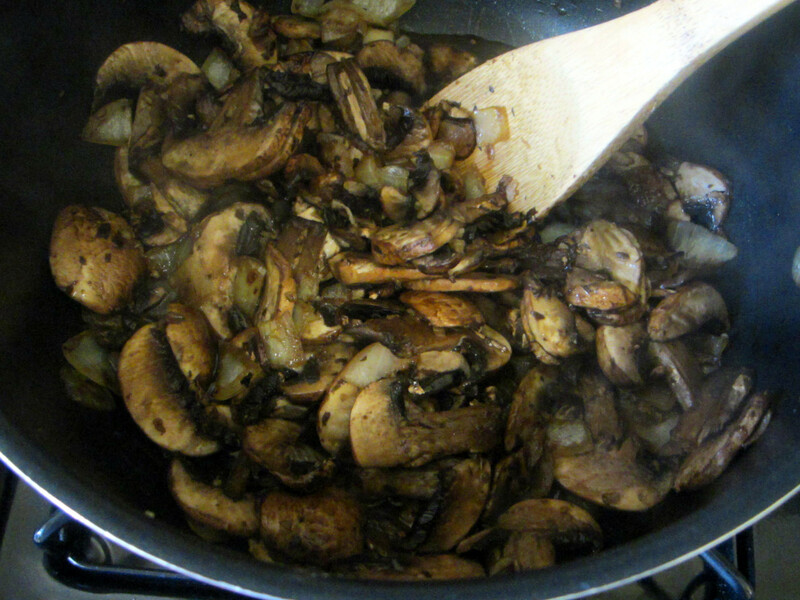 Add the baby bella mushrooms, soy sauce and Worcestershire sauce. 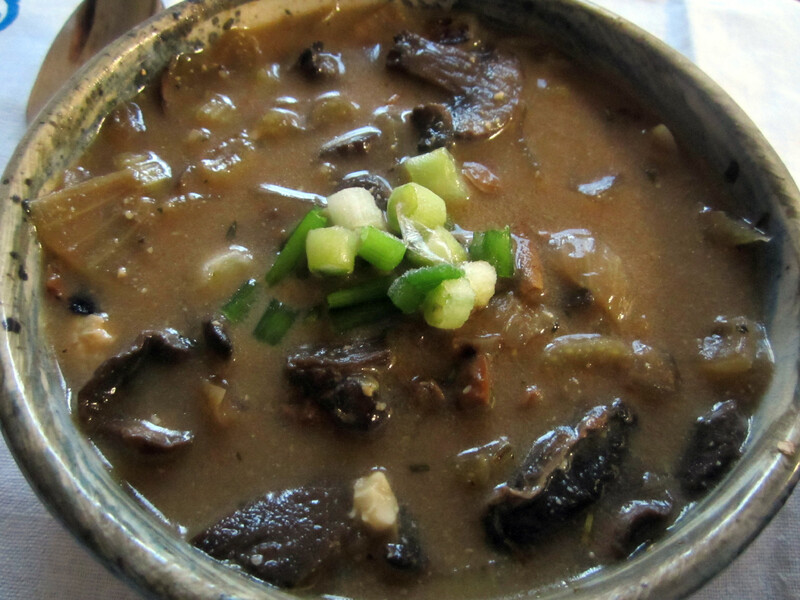 Cook until the mushrooms begin to break down and brown, stirring occasionally. 5. 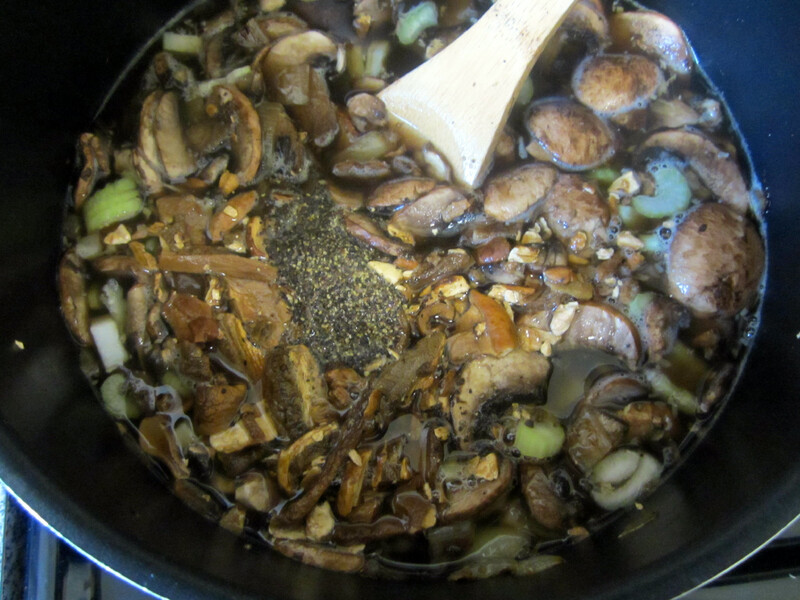 Add the broth, black pepper, rosemary, thyme and porcini mushrooms (including the water they soaked in). 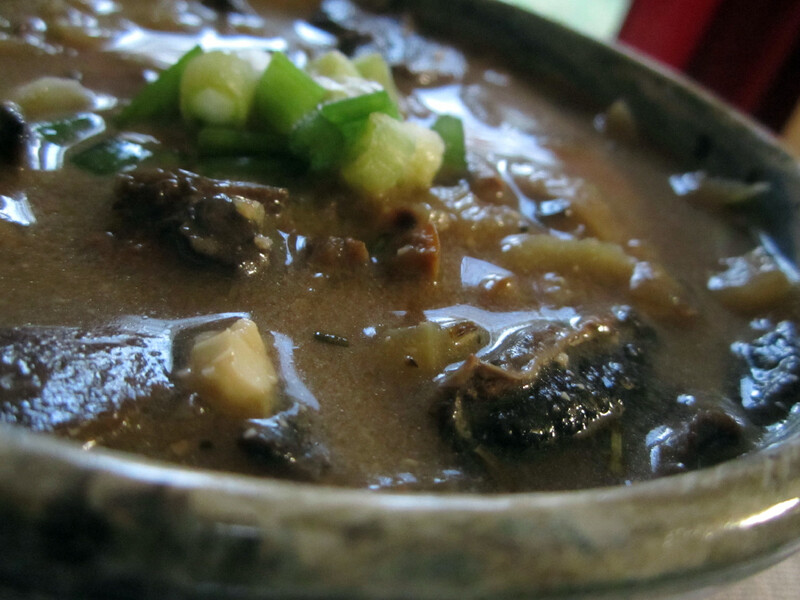 Allow the soup to simmer until the mushrooms are completely softened. 6. 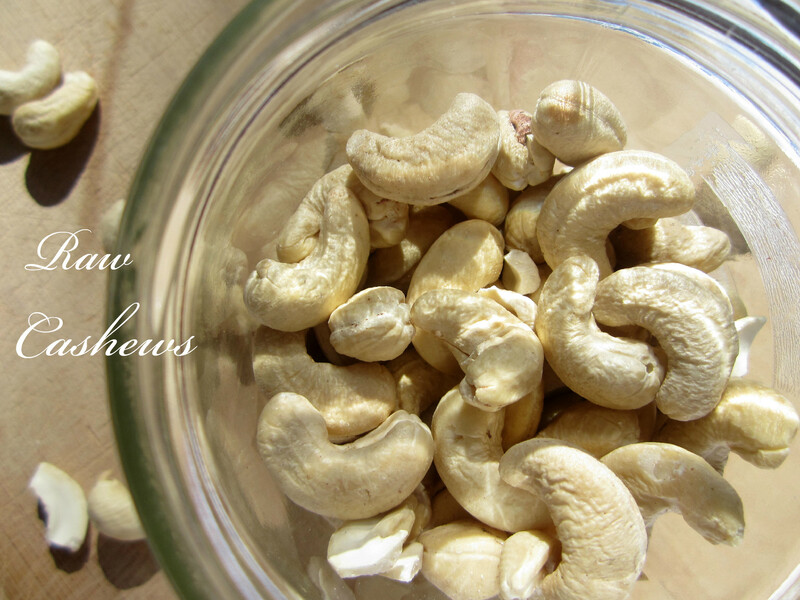 While the soup simmers, put the cashews and 1/2 cup of water in a blender and blend on high until smooth. 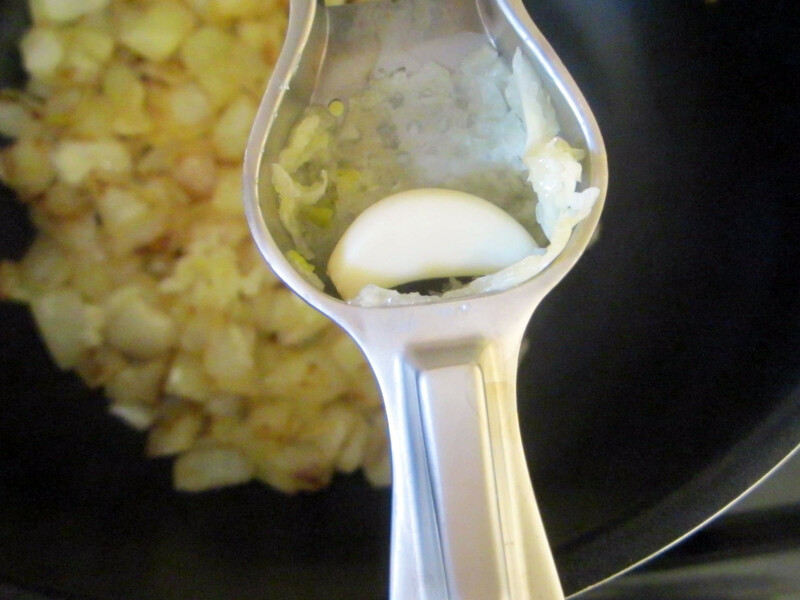 Pour the resulting cream into the soup and stir to combine. 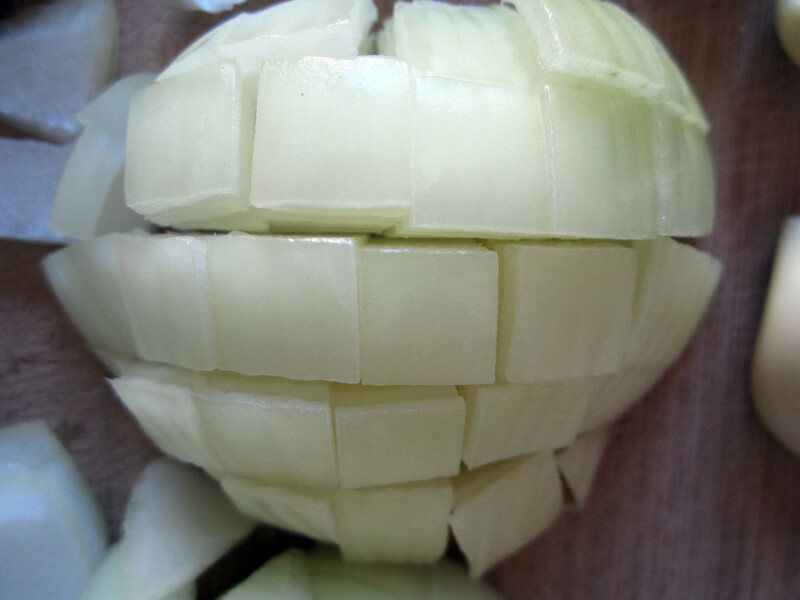 Awesome dicing skills on the onion!